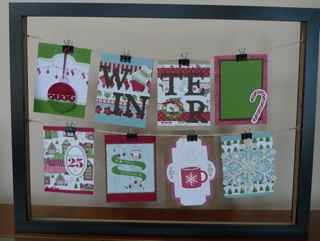 Karina's Kreations: Picture Frame Class Dec 5th! Picture Frame Class Dec 5th! Do you want to make a cute project for Christmas? Come join me on Dec 5 from 9:00-11:30 or 12:30-2:30 and make this cute picture frame. You can also get this as a kit to go and make it at home. My friend Christy Harsch designed it! So fun!! !